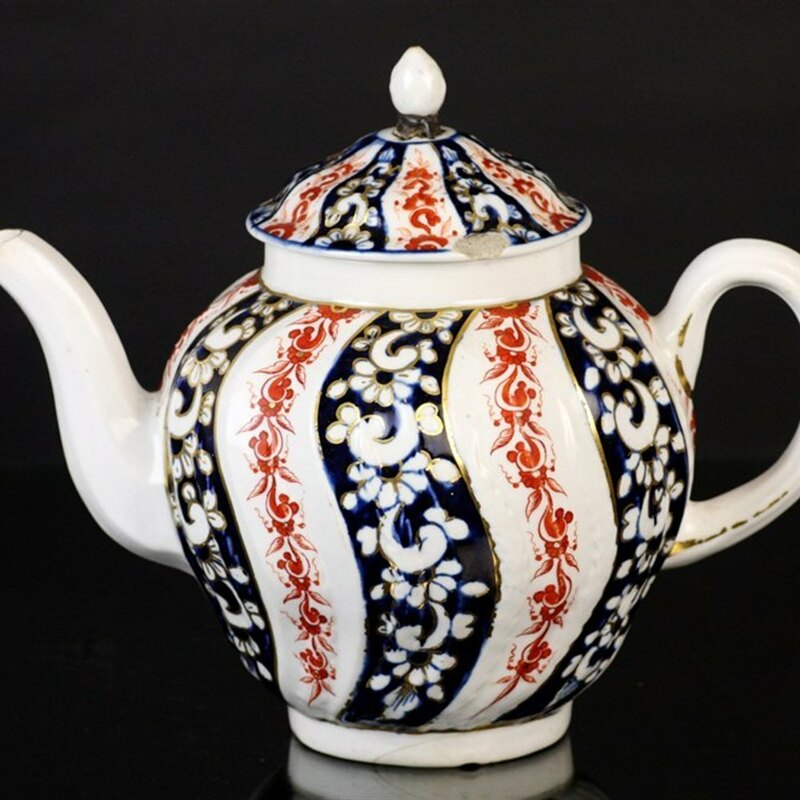 A rare and attractive porcelain lidded teapot with moulded and shaped body decorated with red and blue painted floral designs highlighted with gilt and dating from around 1770 and probably by William Duesbury. The rounded teapot has a moulded loop handle and flat sided pouring spout. The teapot has its original domed lid with pine cone finial and has a gold painted Chelsea Derby mark to the base.